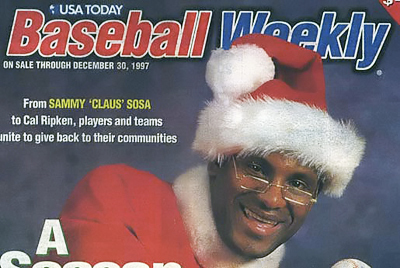 In 1997, Sammy Sosa partnered with Catholic Charities, local school districts and recreational departments to conduct the “Sammy Claus” tour, which visited cities across the U.S. and in his homeland of the Dominican Republic. 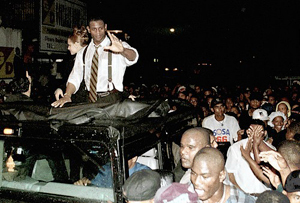 He dressed as Santa Claus and delivered more than 7,000 gifts to children in hospitals and schools. Not surprisingly, Sammy Clause was a big hit with families who came to see him in Washington DC, Philadelphia, New York, Chicago, Miami, and San Pedro.